We were waiting and waiting for these little ones to arrive! 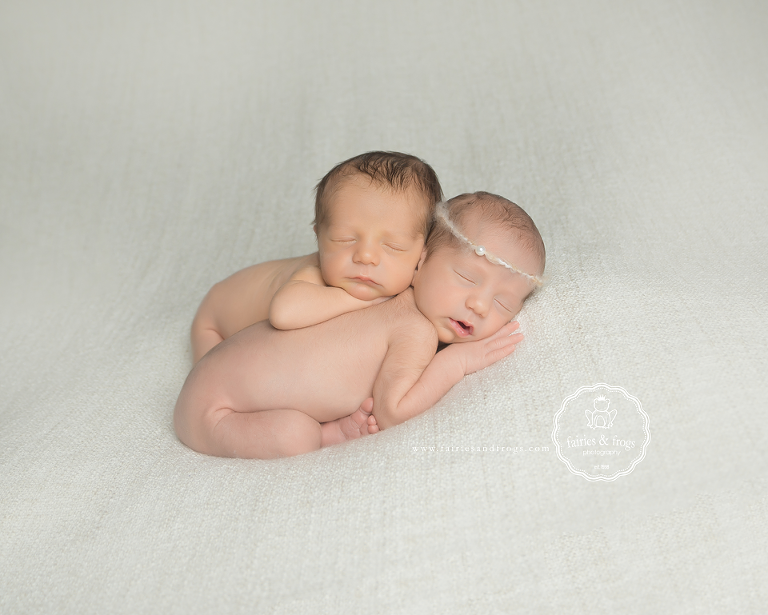 We did their momma’s maternity photography session a couple of months ago with the expectation that these two sweeties would, like most twins, be early but they stayed put right up until their due date! You might be wondering how do we schedule a newborn photography session when babies tend to arrive when they want to (unless a C-section is scheduled). This is a great question because we only do a limited amount of newborn photography sessions per month because we have to leave plenty of room to move a baby’s session date if they arrive early or if they arrive late according to their estimated due date. Why do we need to move the session date? Well, there is a wonderful little window of time that is just perfect for newborn photography and that is when a new baby is between 5 and 12 days old. So what we do when you call in and book your baby’s newborn session is we pin down a date that is about 6 days after your estimated due date and then if your baby is early or late all you have to do is give us a call or send us text or email and we will adjust your photography session so that we can stay within that little window of time. It is never to early to reserve a newborn session for the new little person that you are going to be bringing into the world. We highly suggest contacting us during your second trimester to schedule your newborn photography session and to schedule your complimentary maternity session. If your baby’s arrival is just around the corner or your new baby is already here, you are welcome to contact us because we do have last minute openings in our schedule. Please contact us if you have any questions or if you would like to reserve a spot on our calendar.